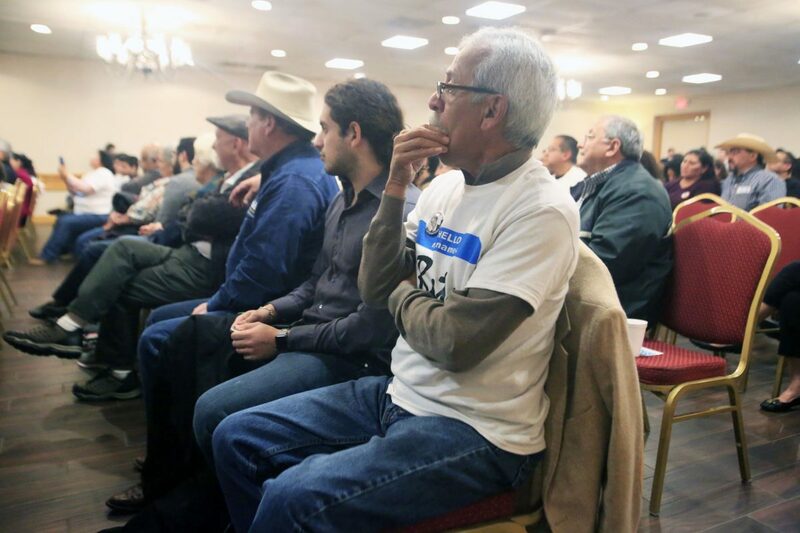 Supporters listen to Democratic U.S. Senate candidate Beto O'Rourke during a campaign town hall at the Echo Hotel and Conference Center Tuesday Feb. 13, 2018, in Edinburg. 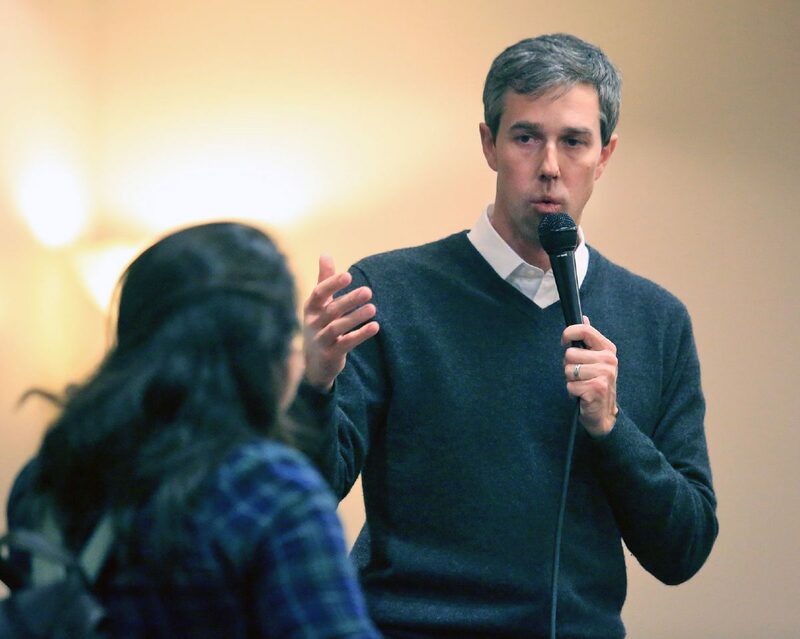 EDINBURG — A Dreamer grabbed a microphone and approached Democratic Senate hopeful Beto O’Rourke at a town hall meeting at a hotel here Tuesday. Allyson Duarte was not pleased with O’Rourke’s decision last week to vote for a continuing resolution that contained a bipartisan budget agreement to prevent a government shutdown, fund it through March 23 and provide relief for Hurricane Harvey victims. That continuing resolution did not provide permanent protections for DACA recipients. “It just killed our possibility of passing a clean act or any kind of sensible immigration policy that would take care of the 60,000 immigrant youth that are here in the RGV,” Duarte said Tuesday. “Those are the ones that qualify for DACA. Democratic U.S. Senate candidate Beto O'Rourke answers questions from a Dreamer during a campaign town hall at the Echo Hotel and Conference Center Tuesday Feb. 13, 2018, in Edinburg. 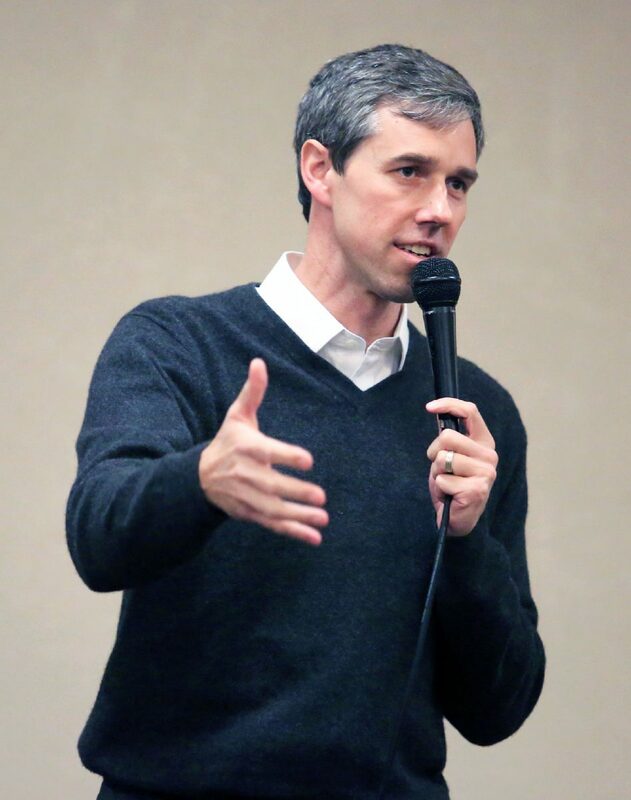 Democratic U.S. Senate candidate Beto O'Rourke speaks during a campaign town hall at the Echo Hotel and Conference Center Tuesday Feb. 13, 2018, in Edinburg. 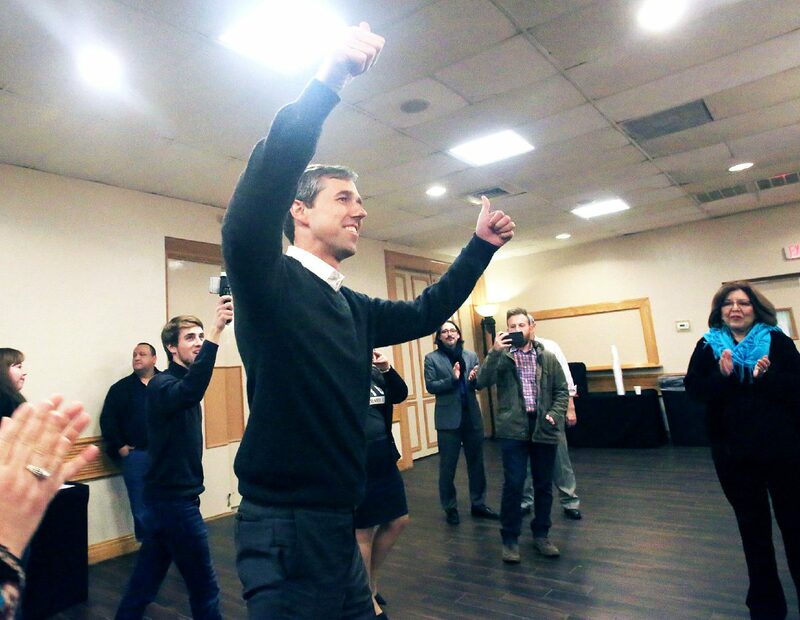 Democratic U.S. Senate candidate Beto O'Rourke gives a thumbs up as he enters the room during a campaign town hall at the Echo Hotel and Conference Center Tuesday Feb. 13, 2018, in Edinburg. 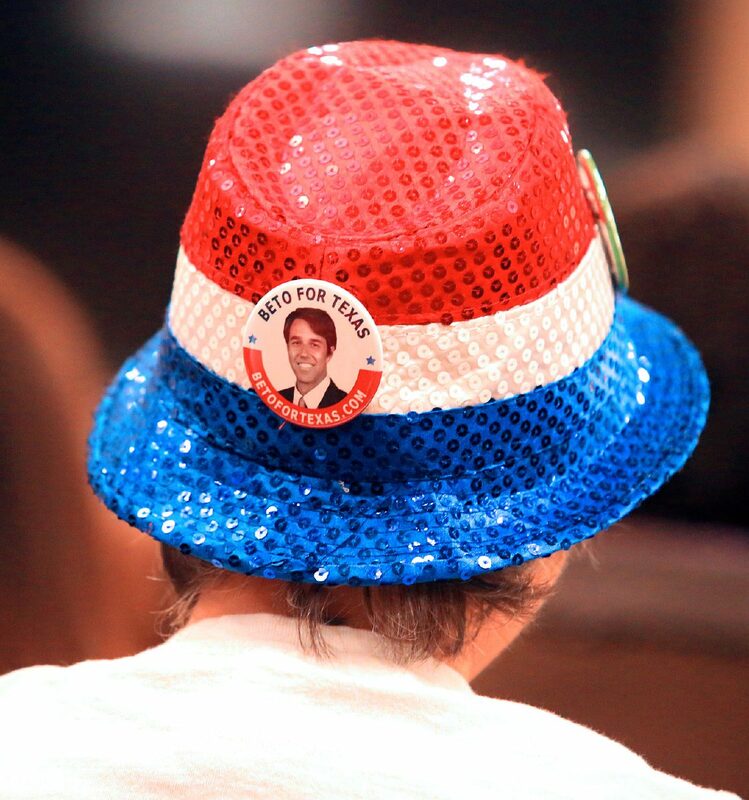 A supporter wears the campaign button of Democratic U.S. Senate candidate Beto O'Rourke during a town hall at the Echo Hotel and Conference Center Tuesday Feb. 13, 2018, in Edinburg. 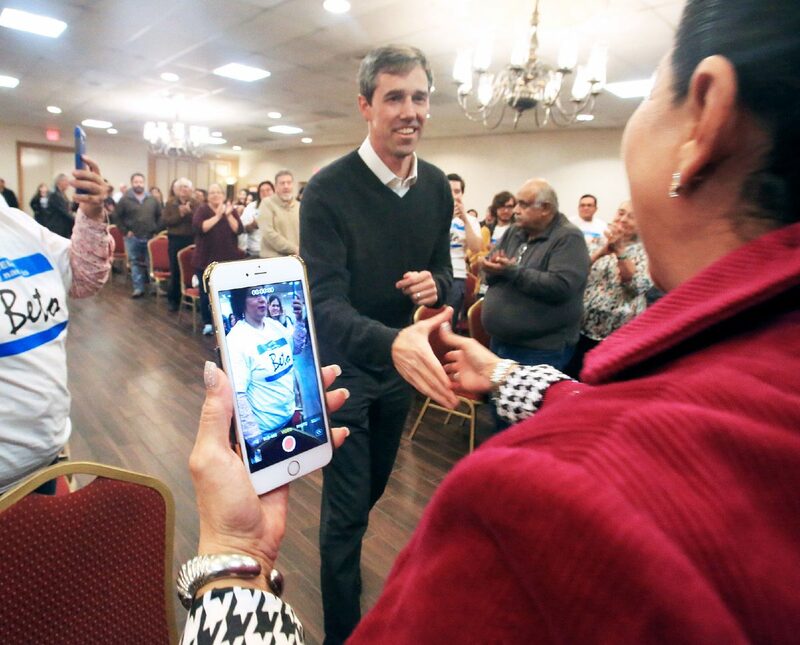 Democratic U.S. Senate candidate Beto O'Rourke shakes hands with supporters during a campaign town hall at the Echo Hotel and Conference Center Tuesday Feb. 13, 2018, in Edinburg. 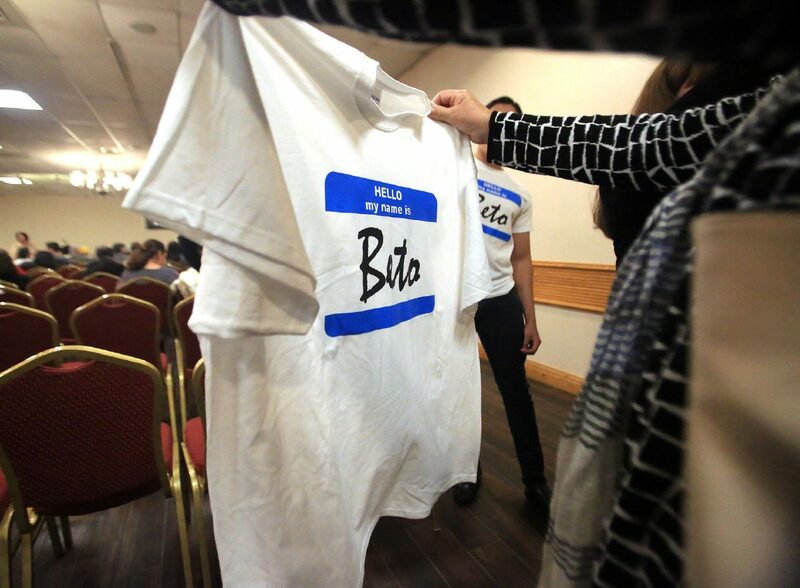 Campaign T-shirts are handed to supporters before Democratic U.S. Senate candidate Beto O'Rourke arrives for a campaign town hall at the Echo Hotel and Conference Center Tuesday Feb. 13, 2018, in Edinburg. Tuesday wasn’t Duarte and O’Rourke’s first interaction. Duarte and other Dreamers visited Washington, D.C., recently and ate a meal with O’Rourke, currently a Democratic U.S. representative from El Paso. He paid. 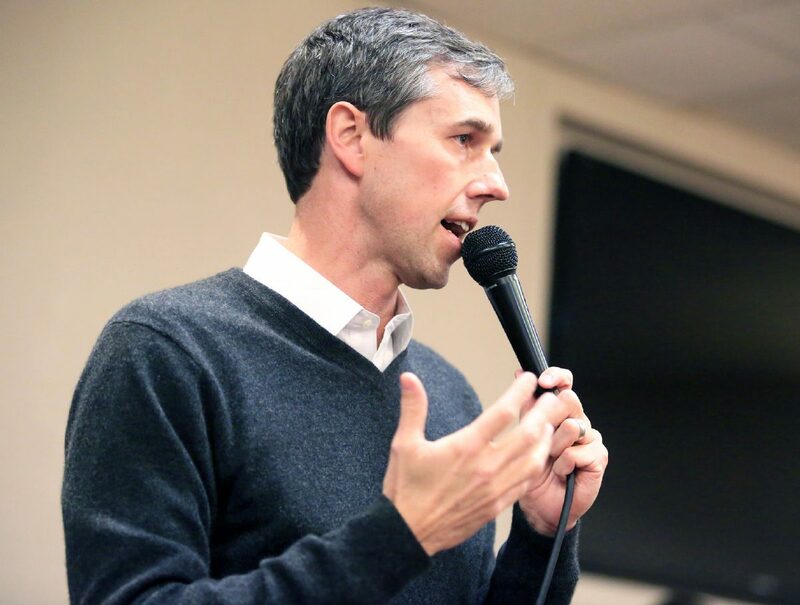 O’Rourke explained to the crowd of roughly 200 at the Echo Hotel and Conference Center that there are multiple obstacles that the military, Veterans Affairs and the opioid crisis face without appropriate funding from Congress. Not only that, but the millions of people in Houston and the Gulf Coast in need of hurricane relief also factored into his decision to support the bill. “There was one really important thing missing,” O’Rourke said. “And that was some certainty for Dreamers, the 200,000 fellow Texans, fellow Americans who live here without citizenship, are every bit of American as everybody else. As he continued, there were breaks for applause throughout. 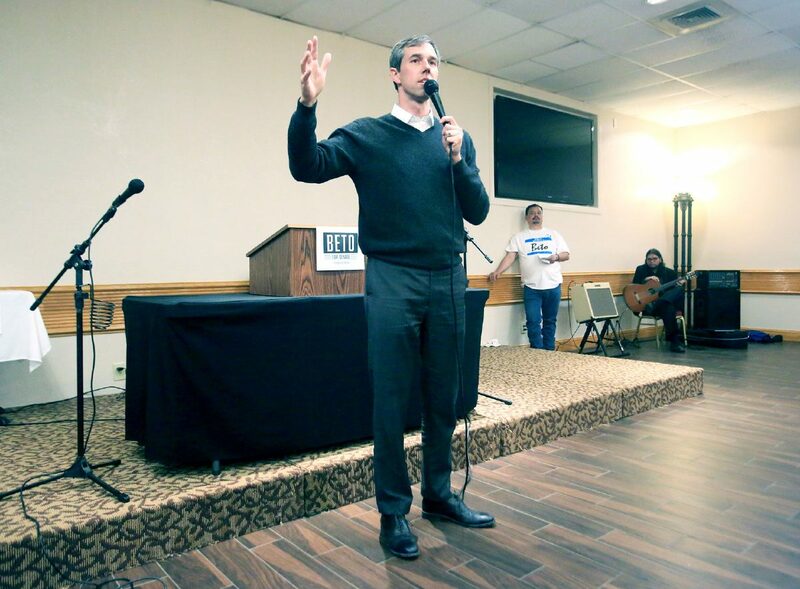 Not only during the brief exchange between Duarte and O’Rourke, but throughout the entire evening when he discussed veterans, healthcare and border issues. But it’s difficult for most who applauded to empathize with what Duarte’s dealing with. “If I thought shutting down the government was the way to get (permanent DACA protections) done then that might’ve been something that I would think to do,” O’Rourke said. “But I think now with the budget battle behind us, with these priorities met, all of us can give our full attention to assuring Dreamers can stay here. After a brief rebuttal, Duarte pulled out a $20 bill and handed it to O’Rourke. A couple others did the same throughout the evening. 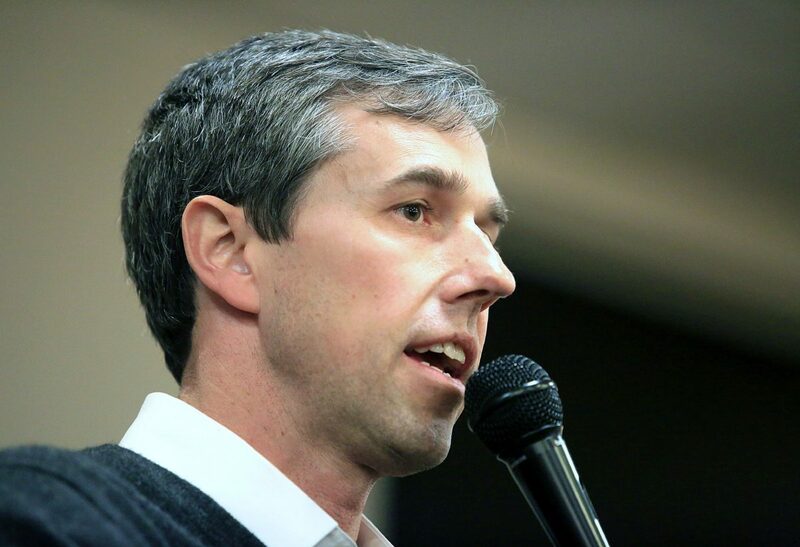 O’Rourke relishes the modest campaign contributions, those he said have fueled his campaign to out raise Texas Republican Sen. Ted Cruz, which he did $2.4 million to $1.9 million over the last quarter of 2017. But Duarte’s contribution was different, she said. That was for dinner in D.C.